From 2 to 14 January the world’s longest and toughest rally raid will test the mental and physical strength of even the most hardened extreme enduro riders. While competing in the Dakar is hard in itself, the journey to the starting point – in Asunción in Paraguay, this year – can be even harder. Joey Evans became a paraplegic in 2007 due to a spinal injury sustained at the Heidelberg Hare Scramble. He was told he would never walk again. After regaining the ability to walk, riding enduro was the next logical step for Joey. His physiotherapist built a “bike” out of gym equipment and Joey would train to lift his leg and pivot on the other, training the muscles needed to enable him to get back on his bike. 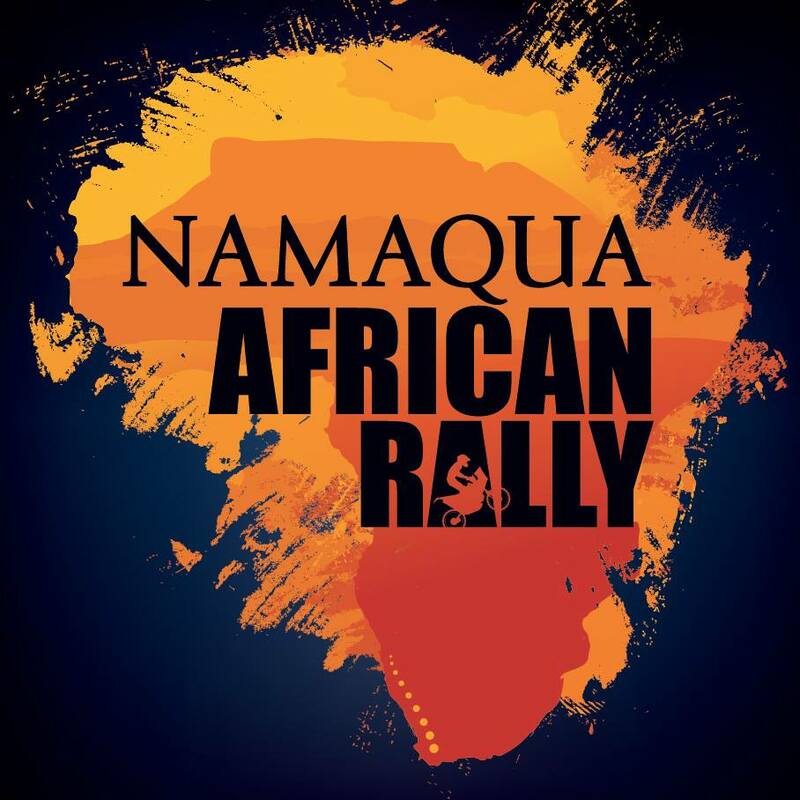 Five years after the injury Joey completed the Amageza Rally, finishing fifth overall. And now he wants to fulfil his dream of completing the Dakar. 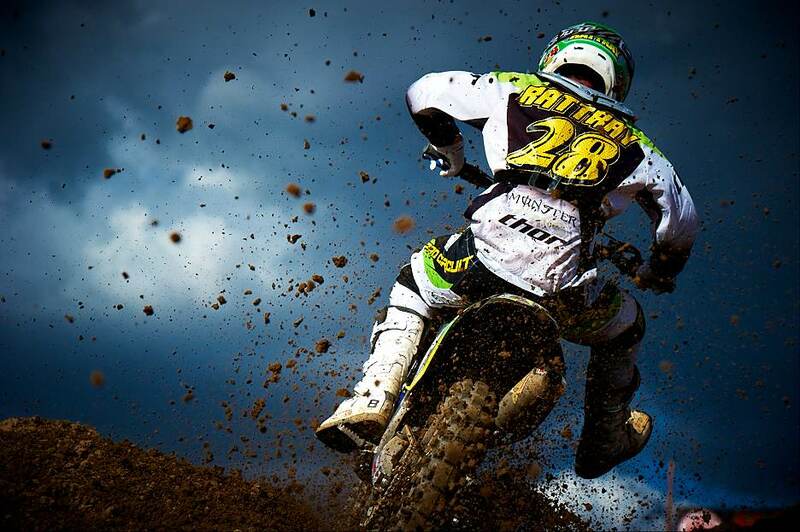 “The Dakar dream came after I could ride again. The difficulty is that my body isn’t strong, but Dakar represents the full circle, an accomplishment and the completion of my healing,” Joey says. 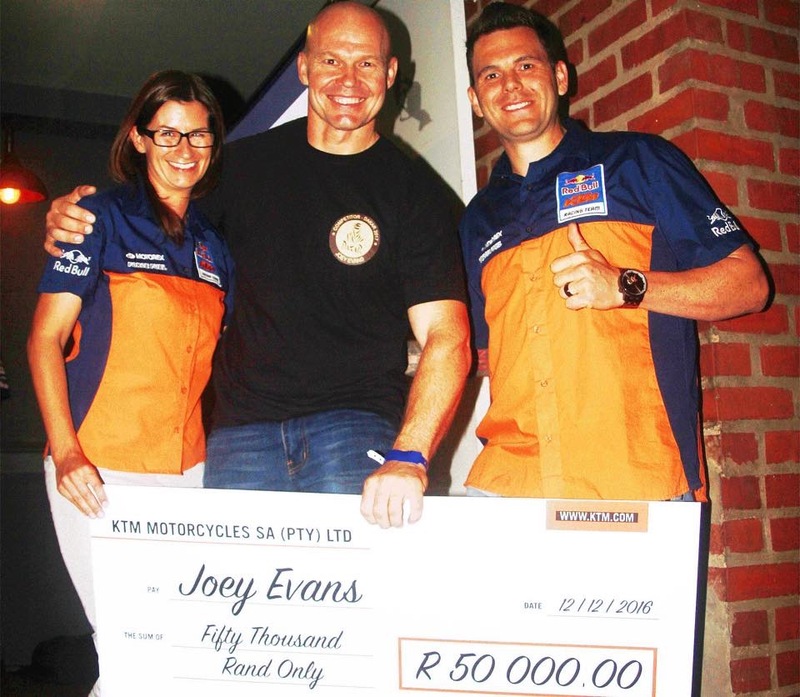 Earlier this month Social on Main in Bryanston hosted a fundraiser to get Joey and his 2016 KTM 450 Rally Replica to the Dakar. 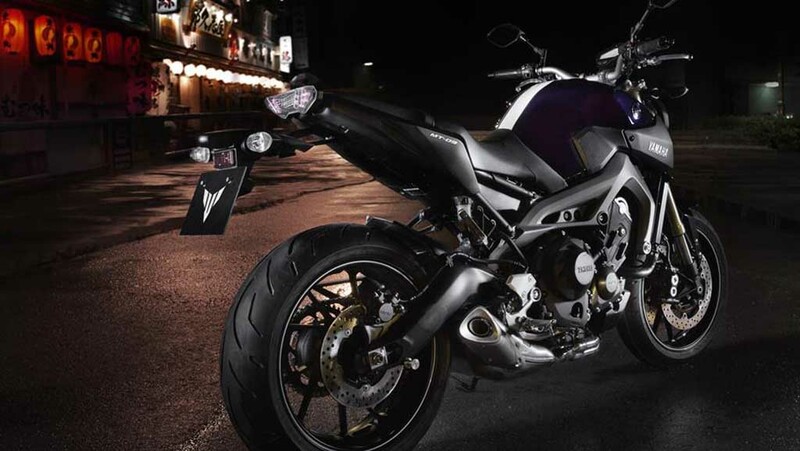 KTM South Africa has sponsored all spares and riding kit necessary, but there was surprise on all faces when the company’s managing director, Franziska Brandl, and marketing manager Riaan Neveling presented Joey with a cheque for R50 000. Joey is one of three South African rookies who will tackle the Dakar; David Thomas (#76) astride a Husqvarna, and Joey Evans (#132) and Walter Terblanche (#136) on KTMs.